Dutch TV reporter Roozbeh Kaboly and the Nieuwsuur team have put together this report, with English subtitles, based on a video said to show Iranian troops training militia in Syria, using a village school as a base. The man being interviewed has been identified as Revolutionary Guards Commander Esmail Heydari, who reportedly died in Syria a few weeks ago, and was later given a public funeral in his hometown of Amol, about 180km north of Iran’s capital, Tehran. He describes the mission, working with teams which are on 25-day rotation, adding that some were previously trained in Iran. Part of the mission’s objective appears to be securing access for Hezbollah to deliver weapons and supplies. Followers of human rights abuses in Iran, used to reading about the indescribable torture and cruelty dispensed to prisoners in the “special” IRGC detention centres and isolation wards, may be surprised by the smiling, relaxed, countenance of this commander. Heydari reveals the secret of his team’s success on their training mission is that they treat fighters with respect, “We haven’t paid them or anything,” he comments. Respect is a sentiment Heydari claims to extend to the local people: for example, by driving military vehicles slowly in civilian areas to avoid raising dust. While driving through a village Heydari says was deserted until his unit came to the area and cleaned up, he greets children warmly, offering candy. “When we came, there was no human being,” says Heydari. One of his team responds, “There are still no humans now, just Arabs.” The Nieuwsuur translation then relates the cameraman suggesting the Iranians also offer candy to the women they are passing on the road, but misses what I consider to be an implied threat in the reply: “We’ll give them some(thing), and you can film.” This is more typical of the IRGC behaviour I am familiar with. The regime in Iran celebrated his death by burying Commander Heydari with honor, as a martyr who died defending the Shrine of Syeda Zainab, granddaughter of the prophet Mohammed. At least 6 more videos were posted to YouTube by the admin of a rebel group’s Facebook page, and were later verified by France24 journalists working with translators, who helped to produce a detailed analysis. The links to the original videos were shared on Twitter, but were either shared only with selected contacts, or the settings were later changed to prevent public access. Copies of the videos, which seem to show Iranian military officers working with soldiers from Syria’s regular army, giving them advice and instructions for combat, can be seen here. The film appears to have been recorded by Hadi Baghbani, a young Iranian documentary maker, who reportedly died during an incident on the outskirts of Damascus, Syria, where he is said to have been on a 10-day assignment, his second such visit. A second group of Iranians reportedly died while on the road in Syria, either because of a traffic accident or because their driver was killed by a sniper. The rebels believed to have found Baghbani’s video camera, the Idblib-based Dawood Brigade, which released the video, claimed responsibility for “most” of the deaths in an interview with al-Aan TV. The group’s spokesperson, Hosam Alsermene, told Al-Jazeera that they killed about 15-20 members of an Iranian team after hearing about their Syrian operations. Their identities and operational details were confirmed after taking possession of mobile phones and the video camera of an independent journalist who just happened to be there. 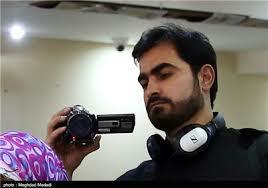 The 30-year-old filmmaker received a burial ceremony in his hometown of Babolsar, Iran. It’s not completely clear, from the available accounts, how the bodies were returned to Iran. Can we assume that this happened with the help of Syrian authorities or the militia which were being trained? Alternatively, other Iranians still present in Syria might have been able to repatriate the dead themselves. In July 2012, it was reported that about 5,000 Shiite Muslims were living in the neighbourhood of the shrine, including some who fled there to seek refuge from sectarian violence. Local youths armed with sticks were said to be defending the site, with Iran alleging clerics in Saudi Arabia had issued a fatwa demanding its destruction. 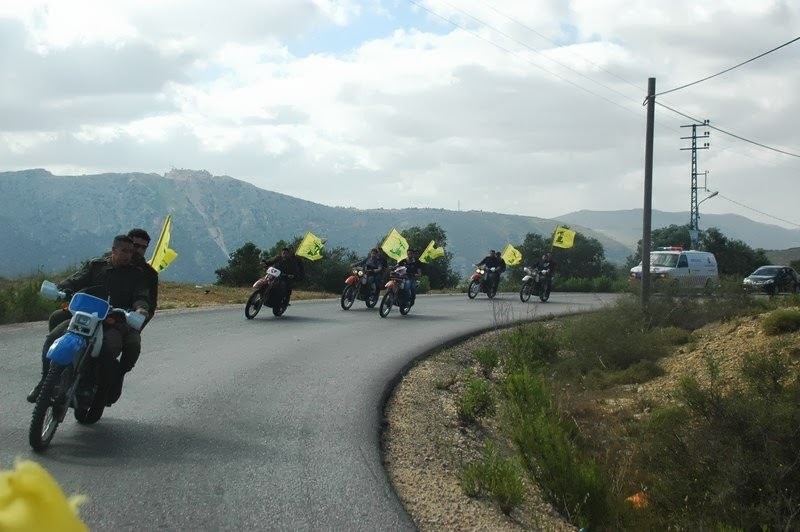 A group of 48 Iranians, including members of the IRGC who claimed they were in retirement and making a pilgrimage to the shrine, was taken hostage in August 2012, before being traded in exchange for 2,130 prisoners of the Syrian regime in January 2013. 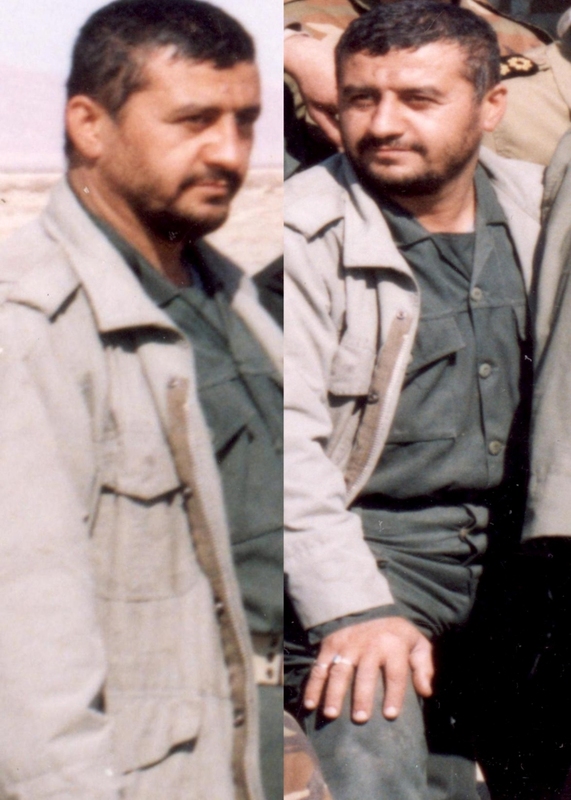 Abdel Nasser Shmeir, interviewed by Al Arabiya and presented as the commander of Al-Baraa Brigade, claimed the hostages, plus their Afghan interpreter, were members of a 150-strong group sent to Syria by Iran for reconnaissance and intelligence-gathering. Shia news organisations claim that the shrine is now being protected by hundreds of Shia militants from Iraq and the Lebanese Hezbollah group. Recent reports say a custodian of the site, Anas Romani, was killed, and the building damaged, when it was attacked by mortar shells in July 2013. The Syrian government accused militants of the attacks. Mousavi’s 2009 campaign coordinator, Mir Taher Mousavi, who was arrested 3 months ago, has been taken to hospital. Hossein Ronaghi Maleki was taken to hospital in dire condition but not admitted and returned to Evin. Jailed lawyer Mohammad Seif Zadeh transferred from Evin prison to the hospital. On hunger strike Human Rights attorney Nasrin Sotoudeh was transferred to prison infirmary. Idris Seidin Boroujerni, student activist, enters Evin 350 to serve his one year sentence. Journalist Abdolnaser Mahimani has been released on furlough. 19 year old Baha’i Tina Mohabati was arrested by Intelligence agents at a bus station in Gorgan. Her mother Shiva Rohani was arrested last week. Farzin and Ramin Shahriari, Baha’i residents of Eslamshahr, in Tehran province, were arrested and taken to Evin. Leila Tavasoli reported to Evin to start serving her 2 years sentence and was reportedly released after 2 hours. Activist Mehdi Fakhrzadeh, labour activist Behnam Keyvani , and Green Movement blogger Siamak Namayeshi released on bail. Ahmad Ghabel, religious scholar, political dissident and whistle-blower on the mass executions at Mashhad prison has passed away. Baloch security prisoner Hamzeh Rigi in solitary last 30 months is on 25th day of hunger strike. Baha’i Akbar Pourhosseini sentenced to 28 months in prison. 3 executions in Sistan Baluchistan on Sunday. 10 executions in Evin on Monday. 3 executions in Ghazvine on Tuesday. A man convicted of adultery was lashed 99 times in public in Ghaemshahr. Traffic protest and defiant dancing in the streets in Tabriz after Tractor game despite heavy security presence. 1,000 workers from Iran Entekhab group staged a demonstration at the South Korean embassy in Tehran after Daewoo deal sours. Iran’s inflation rate rises to 24% in Shahrivar (August 22-September 21). Ahmadinejad’s request to visit Evin Prison is rejected for a second time by the judiciary. Inflation reports are confidential; head of Iran’s Statistics Center said. FM Salehi due to visit Lebanon on Saturday for a few-hour visit. German parliamentary team to visit Iran. Saudi coastguard ‘capture 15 Iranians. 28 students killed in bus accident. Jet fighter accompanying Khamenei allegedly crashed. 7 earthquakes measuring from 2.0 to 3.6 have jolted Varzeghan, Ahar and Haris. A storm that struck Bushehr killed one and injured three. 3 killed in explosion in Karaj. 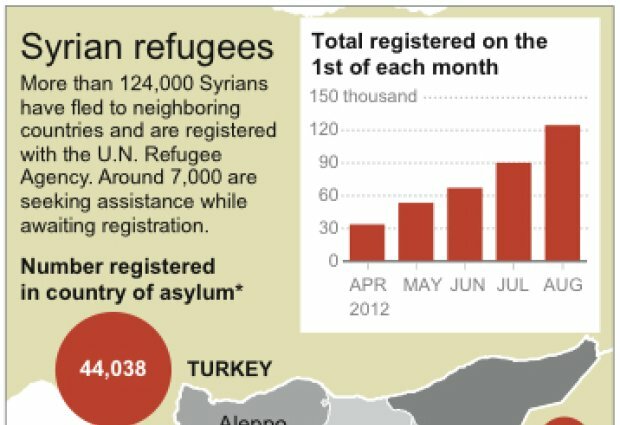 Since Syrian protests developed into a civil war, the entire region has experienced an exodus of refugees from the violence. More than 250,000 Syrians have registered in neighbouring countries with the UN High Commission on Refugees, while many have fled without registering, and more than a million are internally displaced. Complicating matters further, Syria has long been home to refugees fleeing other conflict zones in the region. Communities of Iraqis in Damascus and Palestinians near the south western border now find themselves uprooted for a second time. 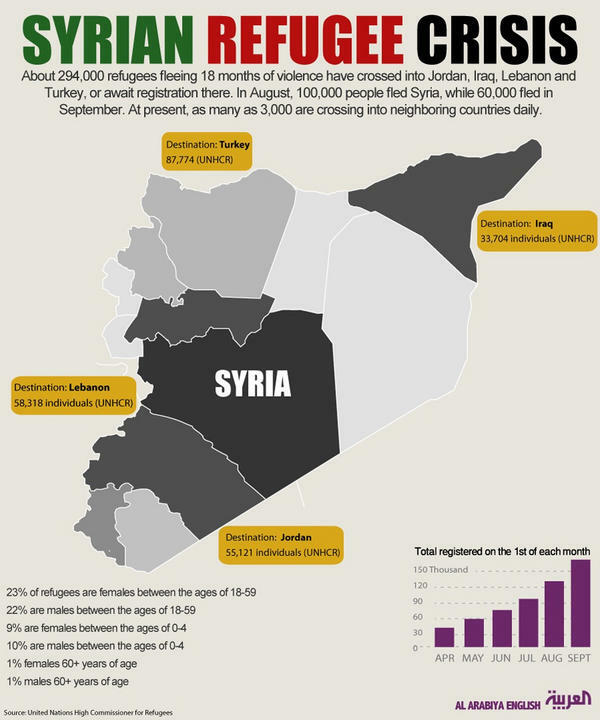 Jordan, Lebanon, Turkey, and Iraq have opened their borders to many of those fleeing the Syrian conflict. Other governments and international agencies have responded with aid. But with approximately 50,000 fleeing Syria every month, more and more refugees risk the deprivation of shelter, food, security, and other basic human rights. Tasiast was touted as the second largest gold deposit in Africa, making it irresistible to international companies lured to Mauritania by the promise of massive returns. By April 2012, the Executive Board of Kinross Gold was cloistered for two days in the Canary Islands at the Las Palmas regional headquarters of the Canadian gold mining giant. They were urgently discussing a major capital optimization study for its mines in Ghana and Mauritania. The meeting came at a critical juncture for Kinross Gold, facing massive cost escalation on its development projects, after already announcing delays to the Ghanaian Lobo-Marte and Fruta del Norte projects to focus on Tasiast. A series of negative events triggered a sharp fall in share price in January 2012m when US$3.1 billion – about 21% of its value – was wiped out after announcing a $2.49 billion write off – part of the US$4.6 billion “goodwill” included in the US$7.1 billion cost of the Red Back purchase, and a 6-9 months’ delay before Tasiast gold production would come on-stream, at which time it would fail to meet previous output estimates. Then in March, the company was hit with a $4-billion class action lawsuit related to the troubles at Tasiast, filed by Canadian firm Koskie Minsky LLP. “Based on our investigation, we are prepared to pursue litigation to preserve the company and the value of Kinross Gold stock for all shareholders, including seeking removal of certain officers and directors and monetary payments,” said shareholder rights attorney Willie Briscoe. The complaint charged that Kinross Gold’s financial statements were not fairly presented in conformity with International Financial Reporting Standards and were materially false and misleading. This was the second such suit in less than a month, after a similar claim was filed in the United States in February. Both lawsuits relate to Kinross Gold’s disclosure around Tasiast: that the miner made misrepresentations relating to the quality and quantity of gold ore.
With the write-off, plus punitive damages in the offing, cost-cutting would be at the top of the agenda in Las Palmas. They would also need to decide how to respond to an unexpected tax demand for several million dollars from Mauritania. The meeting would also be an ideal opportunity to discuss the creation of a plan, since, despite allocating a budget of $US800 million for Tasiast this year, and being way behind schedule, they don’t have one. Speaking as a programme manager, this would be the most disturbing fact about Kinross Gold I have uncovered, were it not for the fatal plane crash in July which claimed seven lives, all Mauritanians, and to which Kinross reacted with condolences for the deceased and their families, but also saw fit to mention that no Kinross staff were killed, no gold was on board, and that the tragedy would not impact mining operations. It certainly made a difference to the loved ones of the seven people who died. The pilot’s sister is still struggling to cope with her grief. Despite offical denials, removal of “certain officers and directors” did happen, although it is not clear whether this was solely in response to the lawsuits. People who were formerly described in glowing terms as “integral” to the growth of the company, and especially the flagship Tasiast project, disappeared. Calls to their numbers via the Kinross switchboard went unanswered, and the receptionist said they had left the company. TIMOTHY C. BAKER– Executive Vice-President and Chief Operating Officer, when the due diligence was being done on the Red Back transaction. THOMAS M. BOEHLERT– Executive Vice-President and Chief Financial Officer. He left soon after the Red Back transaction. KENNETH G. THOMAS– Senior Vice-President, Projects. This was the man responsible for the Tasiast expansion project. ROBERT D. HENDERSON– Senior Vice-President, Technical Services. He signed off as a “Qualified Person” on most of the Kinross Gold mines’ reporting. MARK E. ISTO– Senior Vice-President, Project Development. Coordinated work with engineering consultants for Tasiast. MARK D. SEDORE—Vice-President, Technical Services. He signed off as a “Qualified Person” on Tasiast. For a while it seemed as though the one man who has profited most from Kinross, CEO Tye Burt, who was awarded total compensation of US$50-60-million since 2005 in the form of cash, share and option-based awards and pension value, would never leave, but he finally got canned in August after a drop in Q2 profits. Whoever was still around in April would have had to discuss the Tasiast mine expansion project in their meeting. This is a project which had previously been considered impracticable by independent and separate expert studies. However, Ken Thomas, who joined Kinross Gold from Hatch in 2010, seemingly had his heart set on engaging the company in what later proved a costly and reckless adventure. The expansion project, which included two processing plants with a complex infrastructure, would have to be cancelled or curtailed. But Kinross had already outsourced to a host of foreign sub-contractors. If the board decided to surrender the project indefinitely, the subcontractors would not relinquish their claims without some form of compensation. Some subcontracted companies based in Mauritania enjoy(improperly) the same dispensations and benefits as Kinross-Tasiast. This situation has come about either by contrivance, or through the ignorance of the Mauritanian authorities which carved out the Tasiast deal. The primary subcontractor was Hatch, a Canadian consulting firm whose mission was the study and monitoring of the expansion project. The key expansion project subcontractor is Consolidated Contractors Company [CCC], an Arabian construction company, owned by a Palestinian from Lebanon, and based in Greece. 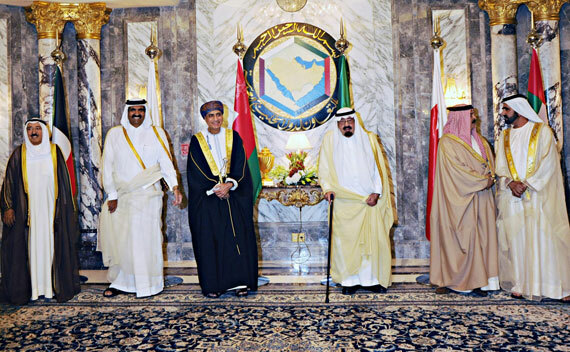 CCC was in charge of Civil Engineering works to build the expansion project plant at a cost of US$1 billion. The project being mothballed, CCC has been thrown some million-dollar bones to chew on while waiting for the return of better times, but they are all projects which were originally slated to be awarded to Mauritanian companies. CCC now supports construction of the airport at Tasiast; an asphalt road linking the site to the road between Nouakchott and Nouadhibou – and related works; and a pipeline project to supply fresh water. To do this, it employs 110 expatriates and not a single Mauritanian. In those situations where local people are employed, the recruitment practices reflect the grace-and-favour cronyism that is endemic in Mauritanian society. “Kinross employs about 300 Mauritanian workers, strictly for manual labour, and 5 in 6 of them almost exclusively have the same tribal affiliation,” says one worker. Second in line is DORCE, a Turkish company based in Ankara, tasked with construction of a workforce camp of about 7,000 rooms, for a total of US$100 million. It employs 500 expatriates and 600 locals, but 80% of the Mauritanians are small traders. Next is the turn of Friedlander (ORTEC Group), a French company specializing in plumbing, whose mission is limited to the construction of a pipeline feeding the plant with seawater to clean extracted ore. It employs 50 expatriates, as well as a workforce of labourers, of which 70% are from sub-Saharan Africa. Fourth most important is CIS, an international catering company with headquarters in France, operating in Mauritania as NAC, and responsible for a catering contract worth US$11 million. 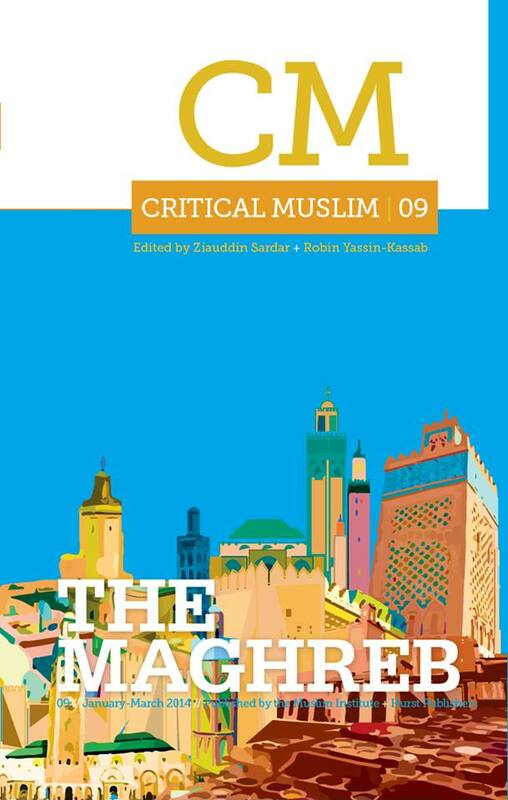 CIS, or NAC, employs 30 expatriates and more than 400 Mauritanian staff. The indigenous employees are hired without permanent employment contracts, working 12 hours a day for a measly 70,000 Ouguiyas (about US$230) at the end of the month, and no entitlement to overtime. No wonder the company has no operations in France other than an office: the EU labour laws forbid such treatment.